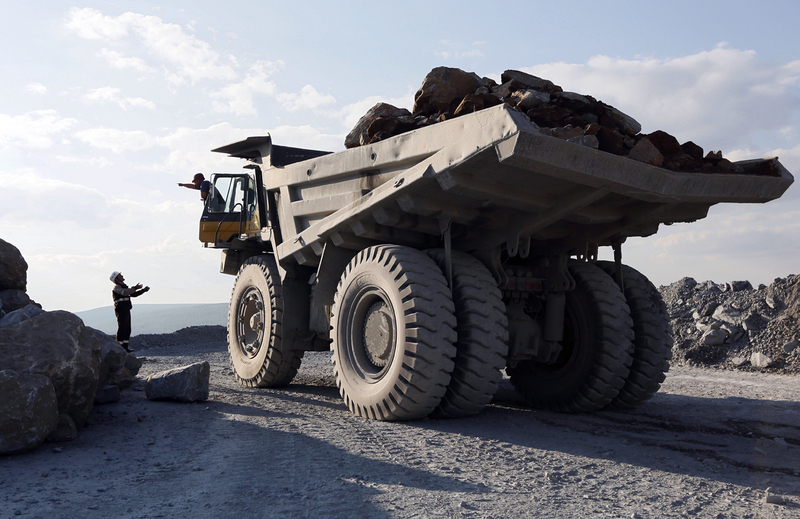 An engineer talks to a driver of a dump truck loaded with gold-bearing soil at the Vostochny opencast of the Olimpiada gold operation, owned by Polyus Gold International company, in Krasnoyarsk region. Russia’s largest gold miner, Polyus Gold, is in talks to sell a blocking stake of 25 percent + 1 shares to China’s Fosun Group for $2 billion. The news was reported by Russian business daily Kommersant on Nov. 3. Should the deal go through, Fosun would receive a number of benefits, including one place in the top management, two in the board of directors, the right to nominate one independent director and the power to veto large deals. Talks are already in an advanced stage and the deal could take place as soon as the end of the year. As Polyus Gold is developing gold deposits with reserves of gold larger than 50 tons, the deal requires the approval of the government commission for foreign investment, according to Alexei Kalachev, an expert analyst with the financial services company FINAM Holdings. Fosun would be the second Chinese investor to own shares in Polyus Gold, noted Oleg Remiga, the head of the department for China at the Moscow School of Management Skolkovo. In 2012, the Chinese sovereign wealth fund China Investment Corporation acquired roughly 5 percent of the company. Fosun, which is headed by billionaire Go Guanchan, has spent over $15 billion on foreign deals since 2010, making it one of China’s most active companies in investing abroad. Fosun isn’t the only Chinese conglomerate working in the market, however. In October, a consortium of the Chinese state-owned China National Gold Corporation (CNGC), the Indian company Sun Gold, The Far East Development Fund and funds from South Africa and Brazil agreed to put $500 million into the Klyuchevskoye gold deposit in the Transbaikal area. According to Oleg Remiga, Chinese gold mining companies Zijin Mining, China Gold, Zhaojin Mining Industry and Shandong Gold have been discussing the purchase of gold assets in Russia for more than five years.